Mouse anti hCG beta Core antibody, clone INN-hCG-106 recognizes hCG b, binding to epitope bII of the core fragment (hCG b cf).  Mouse anti hCG beta Core antibody, clone INN-hCG-106 does not bind to hCG, hLH, hCGb or hLHb. hCGb core fragment purified from urine of healthy pregnant donors. Spleen cells from immunised BALB/c mice were fused with cells of the mouse PAI myeloma cell line. Berger, P. et al. (1996) Immunochemical mapping of gonadotropins. Mol Cell Endocrinol. 125 (1-2): 33-43.